I love looking at all your projects. 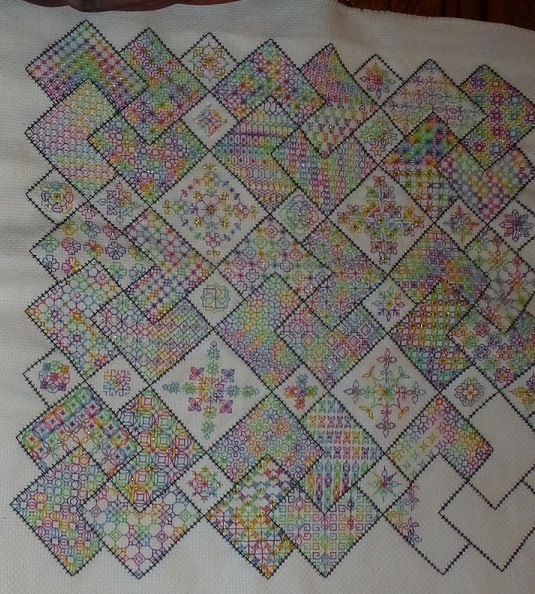 I generally have a couple of projects going at one time, usually one very large one and probably one smaller one. Then another one works it’s way in because of a special occasion coming up for which I am going to make a gift. So the gift usually takes precedence because it has a deadline. I love the colors (and the way too adorable corgi)! 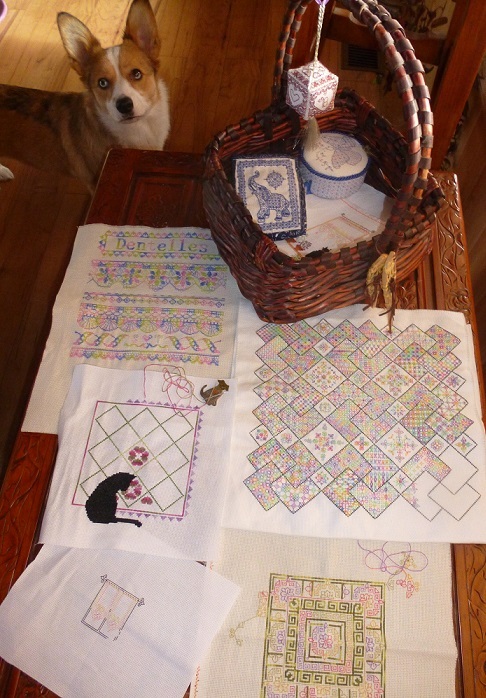 I have several projects going at once – I could never just work on one at a time. I have what I jokingly call “stichers ADD” because I get bored with part of one and go on to another. It keeps me going though. 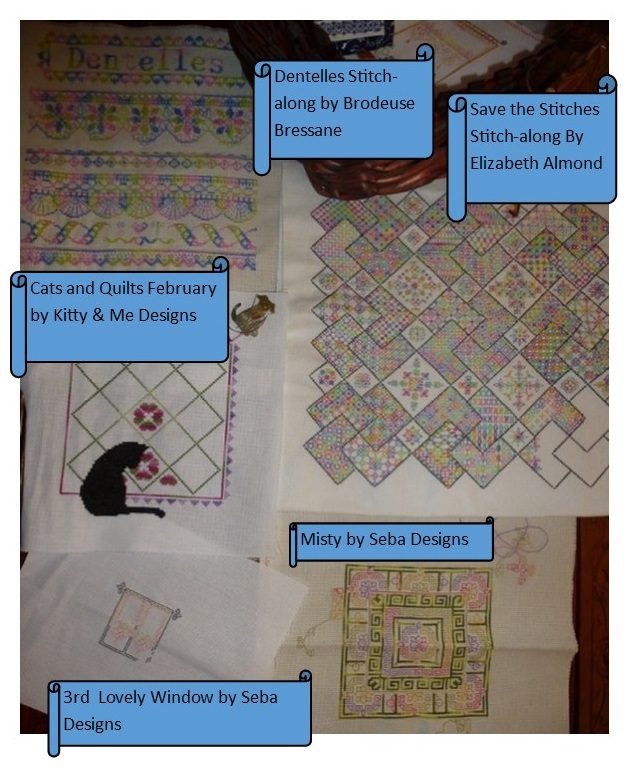 Storm I would like to post your work in progress on the Save the Stitches Pinterest board. No-one else has used the type of colour scheme you have used adm I love it. Hi Bee, Welcome! 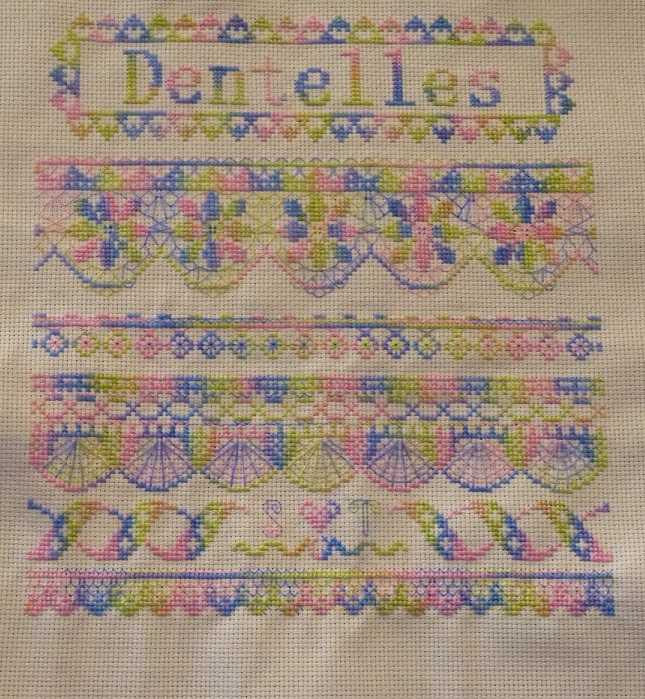 And thank you for visiting 🙂 The floss for Save the Stitches is called Bradley’s Balloons, by Threadworx. It’s one of my favorite threads!